At its March 21 Open Meeting, FERC issued a Notice of Inquiry (“NOI”) launching a broad review of its incentive policies for electric transmission (Docket No. PL19-3). The responses to the NOI will serve to develop the record for any subsequent revisions to policy on issues such as return on equity (“ROE”) to attract investment in transmission, deployment of new transmission technologies, and allowing recovery of prudently incurred transmission costs. The NOI marks FERC’s third consideration of transmission incentives since 2005. The Energy Policy Act of 2005 instructed FERC to establish incentive rate treatments for electric transmission, with the aims of ensuring reliable service and reducing congestion. In 2006, FERC issued Order No. 679, which identified a range of incentive rate treatments, and required applicants to show a nexus between the incentive sought and the benefits provided by a particular transmission investment. In 2012, FERC refined its transmission incentives in a policy statement, which clarified that FERC would view incentive requests holistically by evaluating the entire package of desired incentives. The policy statement also required applicants to seek risk mitigating incentives prior to seeking a ROE adder based on a project’s risks and challenges. Practically speaking, since the 2012 policy statement, FERC has granted project-based risk adders in only a few cases. Further, questions have emerged regarding some incentives. In 2018, the Ninth Circuit remanded a FERC order granting the 50 basis point ROE adder for organized market membership to a utility that was required by law to join the California ISO, reasoning that the incentive rate could not serve its intended purpose if the utility lacked any choice. Commissioner Glick recently dissented from an order approving incentives for a transmission-only utility (“Transco”), finding that there was little basis to presume that customers benefitted from a Transco as compared to a traditional utility transmission provider. 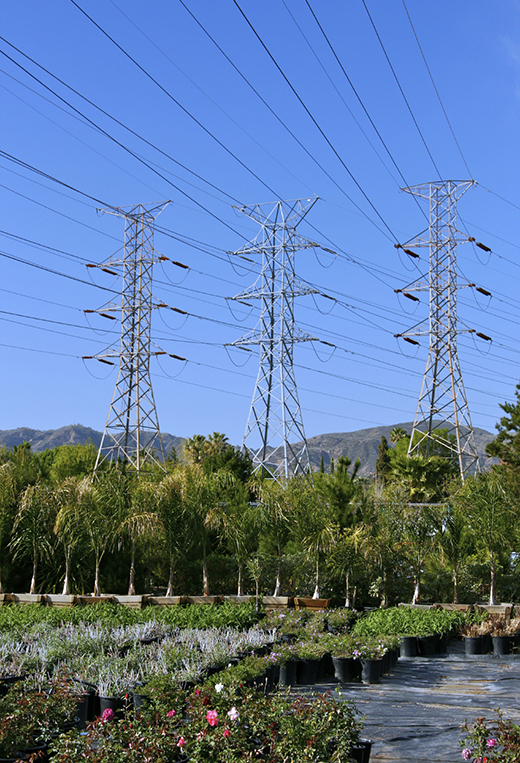 FERC seeks input on its approach to evaluating transmission incentive requests. The current FERC process evaluates the nexus between the incentive sought and the risks and challenges of the proposed investment. The NOI indicates, however, that FERC could instead perform this review by evaluating the expected project benefits created by the proposed investment. FERC seeks comment on how to assess benefits of transmission investment, requesting feedback on how FERC should define the benefit, whether and how to quantify the benefits and project characteristics, what incentive would be appropriate, and the extent and nature of the incentive provided. Categories of benefits could include reliability, economic efficiency, addressing persistent geographic needs, flexible transmission system operation, security, resilience, improving transmission facilities, interregional transmission projects, and unlocking locationally constrained resources. Further, FERC poses questions about the effectiveness of incentives provided to non-public utilities, possible enhancement to incentives for Order No. 1000 transmission projects, and encouragement of transmission projects in non-RTO/ISO regions. FERC seeks comment on the incentives that are currently available, including whether those incentives are appropriate or if the goals of any such incentives could be achieved more efficiently. The NOI poses questions on the efficacy and continued relevance of ROE-adder incentives (including incentives for Transcos, RTO/ISO participation, and advanced technology) and non-ROE incentives (use of regulatory assets, deferred recovery of pre-commercial costs, Construction Work in Progress, Hypothetical Capital Structure, Recovery of the Cost of Abandoned Plant, and Accelerated Depreciation). FERC also seeks comment on implementation of the incentive policies. The NOI specifically asks about the duration of incentives, whether incentives should be granted automatically or on a case-by-case basis, the interaction between different incentives (and whether and how incentives can be combined), and whether there should be limits on ROE incentives. Finally, FERC inquires whether its existing reporting requirements provide an adequate means for review of the effectiveness of the incentives policies to incent transmission development. FERC is evaluating both the data provided currently and the possible addition of reporting requirements to gather appropriate data on transmission spend, risks faced and abandonment information. The breadth of the NOI suggests that FERC is interested in a top-to-bottom review of its entire transmission incentive program under FPA Section 219 with the goal of updating its policies based on industry changes. Responses to the NOI are due June 25, 2019, and reply comments are due July 25, 2019. If you are interested in additional information regarding this Notice of Inquiry, or would like to discuss the implications for your company, please contact Suzanne Keppeler, Gabriel Tabak, Doug Smith or any member of the firm’s Electric Practice at (202) 298-1800 in Washington, D.C. or in Seattle at (206) 623-9372.